​Welcome to the Illusive Crew. We are a bit... unusual. Hi! I’m Anna, the proud co-owner and CEO/President/Goddess of Illusive Comics & Games, Isle of Gamers, and Illogical Associates. (I'm the one on the right). I'm everywhere and nowhere, thanks to paperwork and motherhood. This shop is my eldest child. I hope you enjoy it. We all put our hearts and souls into making it completely awesome. 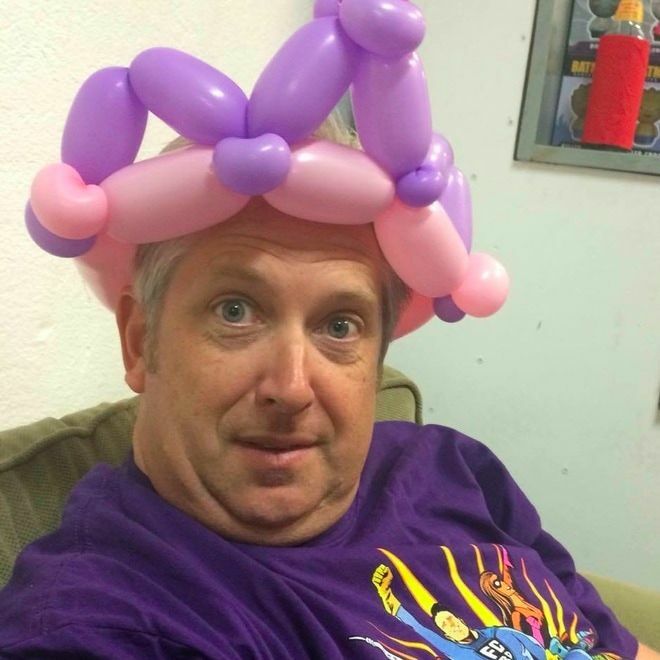 Comics Manager Steve is in charge of All Comic Stuff, and can occasionally be caught running with balloons. He’s been with Illusive/Brian’s Books for over 20 years now. He loves to chat about WoW Online or play Carcassone, Cribbage or Kittens in a Blender. He also waxes poetic about the difference between soup and stew and is an avid collector of practically everything, so you might run into him at a local flea market. This is Patrick. He's been shopping at Brian's Books/Illusive since he was a wee lad. Now he's lost his mind and decided to go Full Geek and work with Illusive. This is Mark, the other co-owner. He likes playing 75 point Scrabble words and losing at Cribbage. He's been creating his own comics and publications for more than 20 years with the help of his many talented friends. He's one of the nerdiest Doctor Who fans we've ever met. He is not a robot. 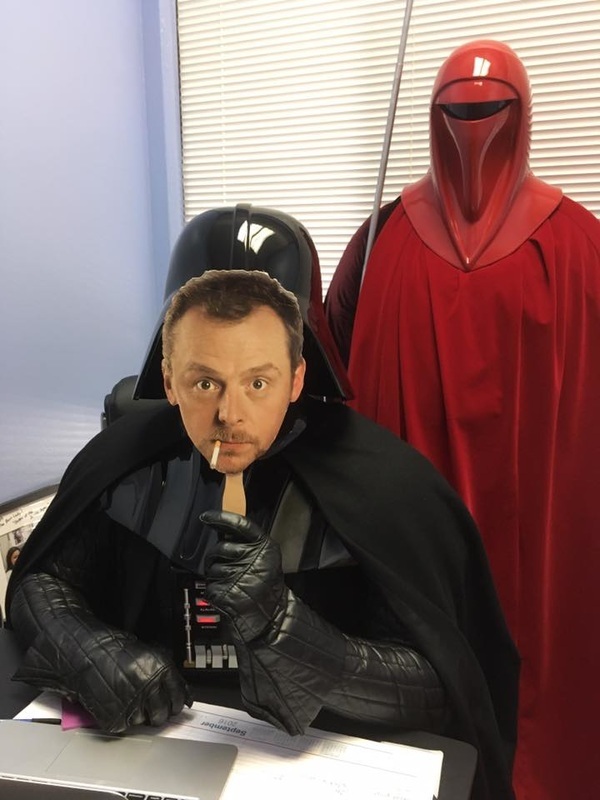 This is Darth Vader holding up Simon Pegg's face. Erik has been with Illusive since 2013. While he loves Bob’s Burgers like everyone should, he’s also a comics and games geek. You can find him a most major Magic: the Gathering releases defending the store’s honor. He’s also a teacher in his spare time, so be careful or he’ll teach you 2+2 equals something. He also likes Karaoke. Sense a theme here? Allison loves to share her love of tabletop gaming with others, & takes joy in finding the perfect game for different playgroups. 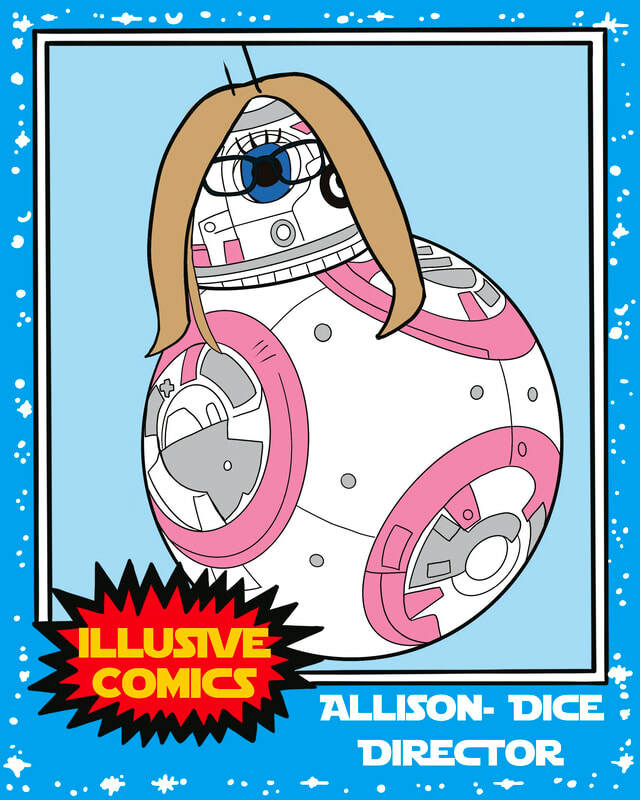 During her spare time, Allison enjoys playing board games, adventuring with friends during D&D, painting miniatures, and playing Magic: the Gathering. Rob, the Illusive Artistic Wizard and Handyman Guru (also known as The Sunday Guy) is another long-time collector of comics and employee of Illusive/Brian’s Books. He is responsible for all of our amazing window displays, making most of the bookcases and the pretty hand-created signs around the shop as well as re-wiring things and molesting Spidey. We won’t tell you what he does in his alone time, but he might be working on taking over the world.